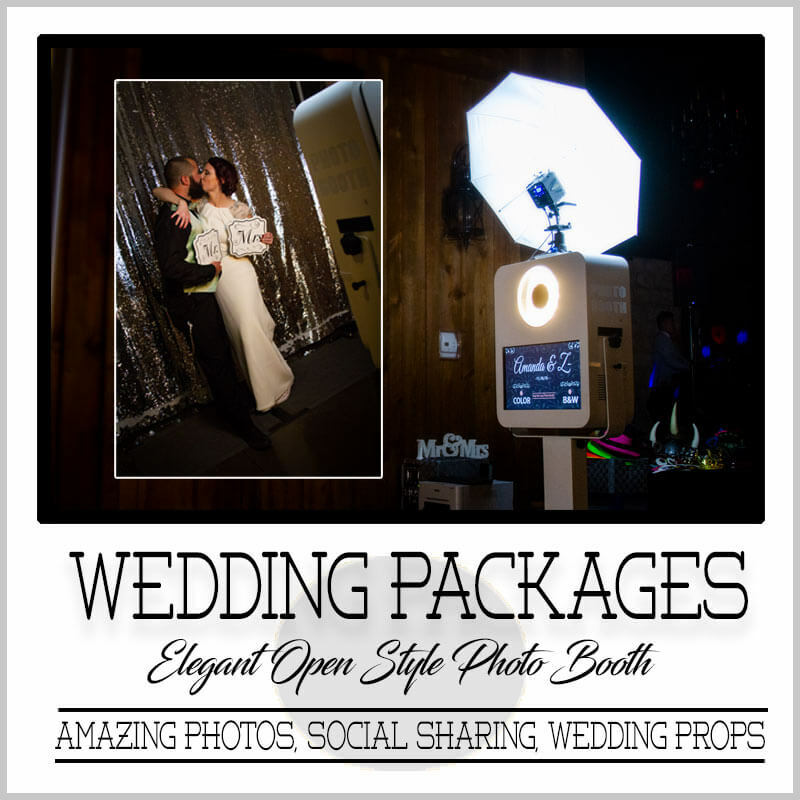 Open-Air Style Photo Booth with Amazing Photos, Instant Social Sharing, and really Cool Props! We want to make your wedding day even more special! That is why you can depend on us to show up early to set up our booth at your wedding! 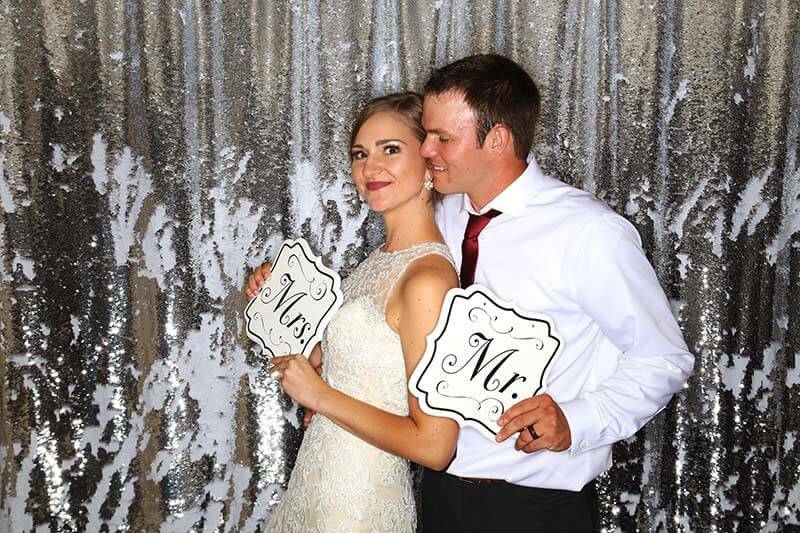 Your #1 Source for a Wedding Photo Booth Rental! 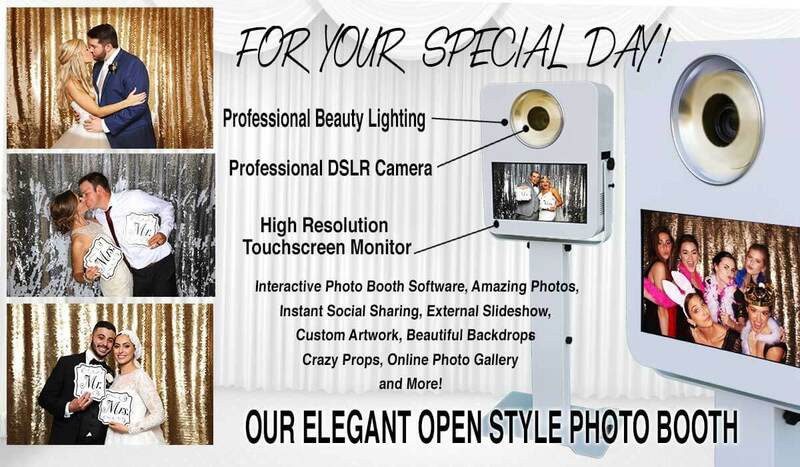 Our elegant open-air studio style of photo booth is used exclusively for our wedding clients. 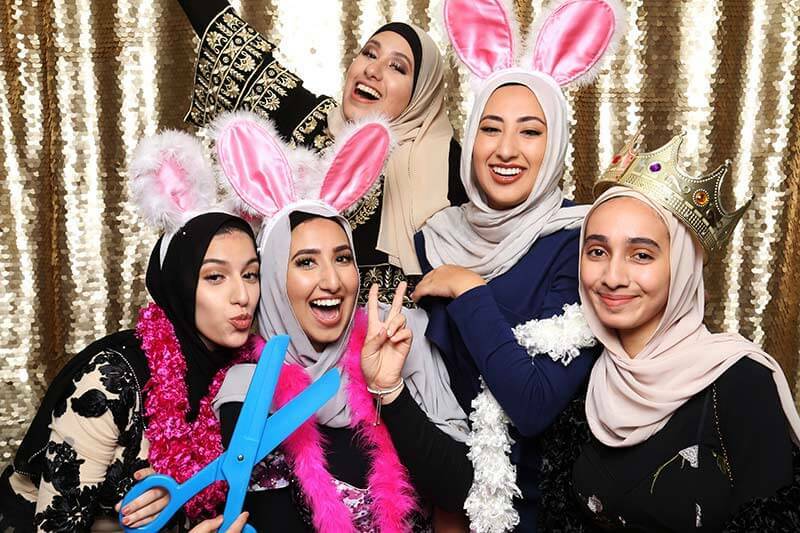 This classy photo booth can capture up to 12 people in one shot and is equipped with a high-quality camera, pro-lighting, a touch-screen monitor and prints amazing photo strips! 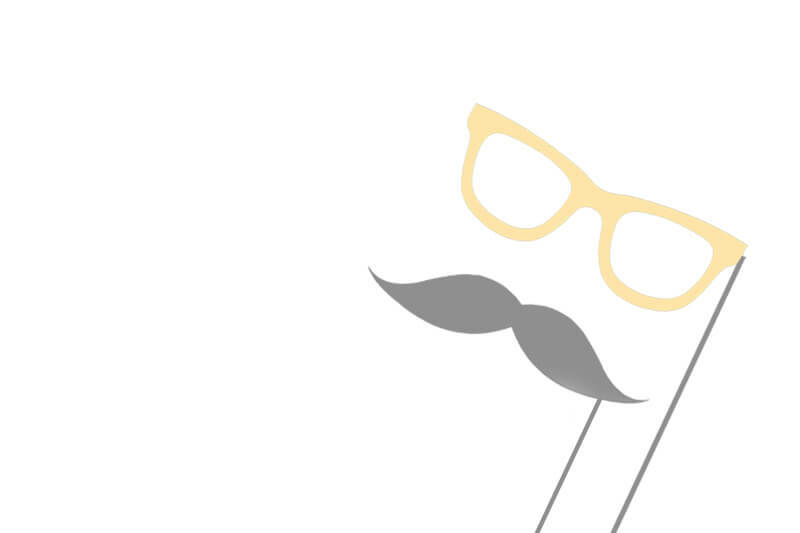 Our open-air style concept is just what the name implies, out in the open for everyone to see! 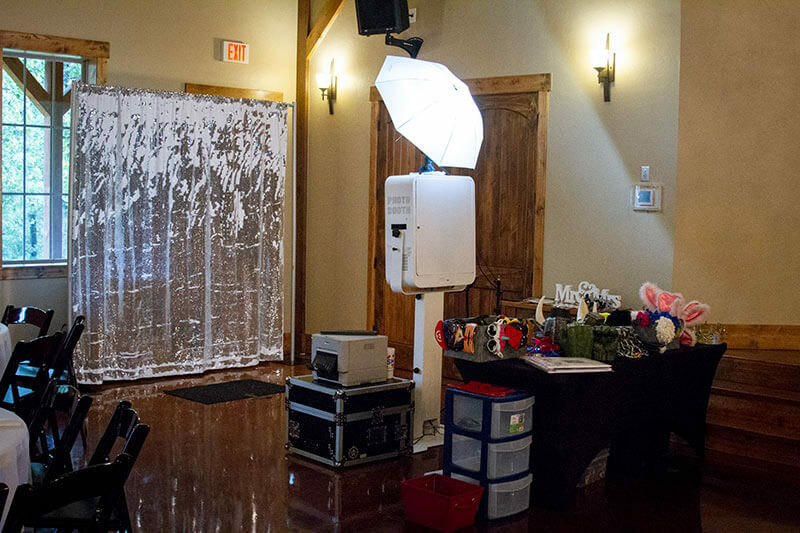 It consists of our state-of-the-art photo booth and comes with your choice of a beautiful sequin backdrop. 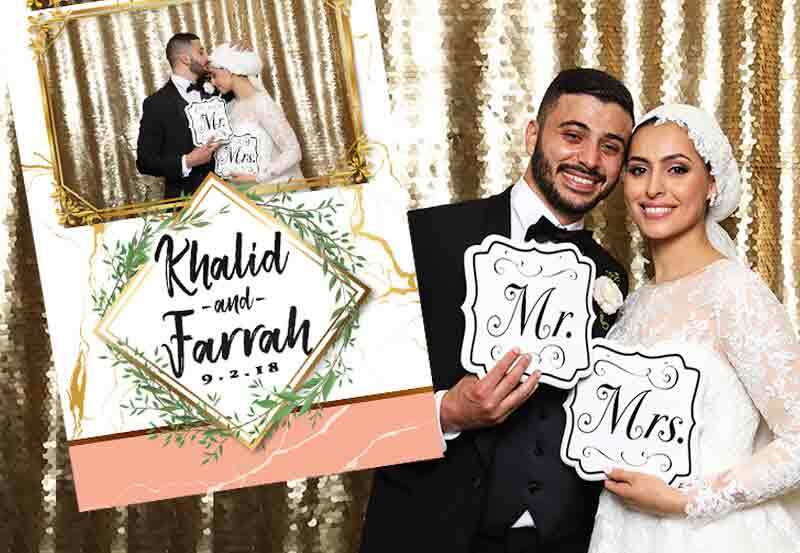 Your guests who may be a little hesitant to have their picture taken at first are encouraged to get in on the action as they observe friends and family propping up, striking cool poses and snapping some really fun and memorable photos for your wedding scrapbook! 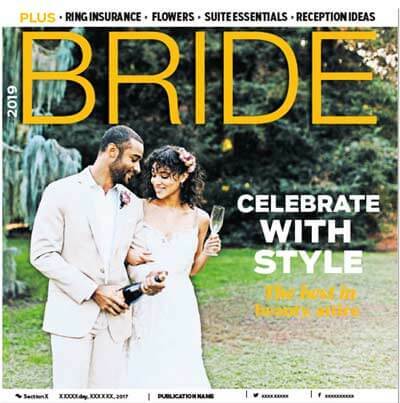 We do over 100 weddings a year, so book early to reserve your wedding our elegant open-air style photo booth offered in 3 and 4-hour creative and affordable packages. Shown with Mermaid Silver and White Backdrop. 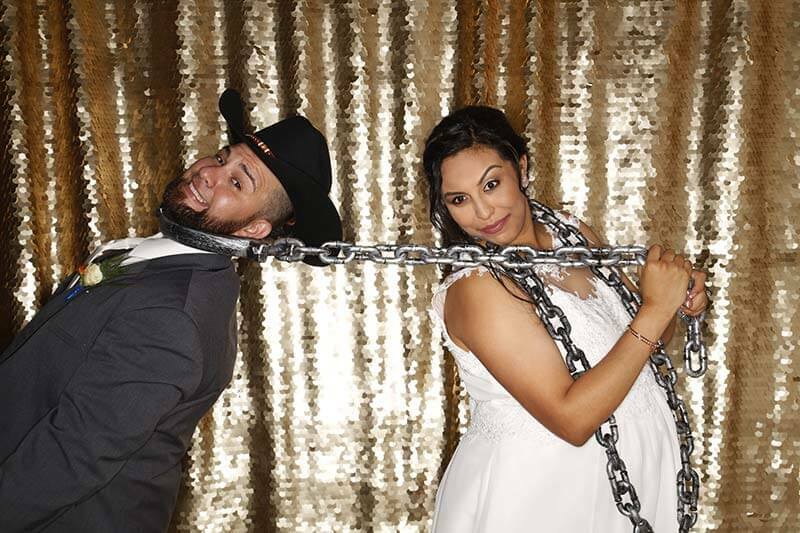 Snap Me Crazy Photo Booths did an amazing job at our wedding! Everyone love the photo booth and had a great time! It was definitely the highlight at our reception for four hours. Tons of props and a very helpful and friendly crew worked the booth the entire time! The pictures and photo strips were awesome looked great! The Scrapbook was filled with our guests photo strips and is something we will treasure the rest of our lives! Thank you Snap Me Crazy! I would recommend you guys 10x! 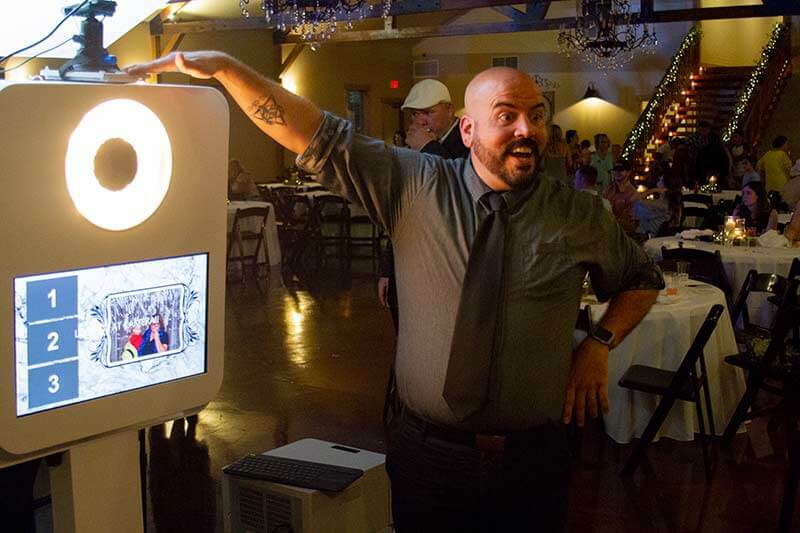 Snap Me Crazy Photo Booths did an amazing job at our wedding! Everyone loved the photo booth and had a great time! It was definitely the highlight at our reception for four hours. Tons of props and a very helpful and friendly crew worked the booth the entire time! The pictures and photo strips were awesome looked great! 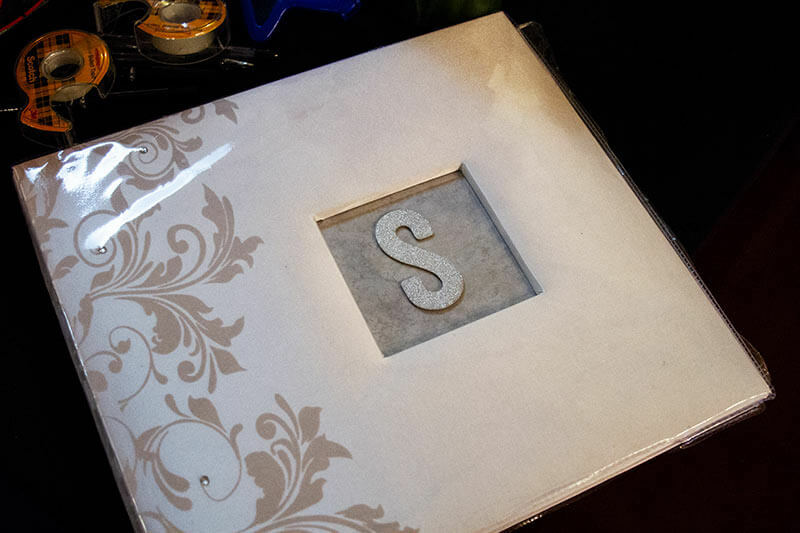 The Scrapbook was filled with our guests’ photo strips and is something we will treasure the rest of our lives! Thank you Snap Me Crazy! I would recommend you guys 10x! Mother of the Bride, You Go Girl! FREE TRAVEL up to 50 miles radius from Edmond, Oklahoma, 73012 included with all of our booth packages. Beyond the 50 miles radius an additional charge of $1.00 per mile will be added to the package price. Mileage that exceeds an 80 miles radius will be negotiated per contract agreement. 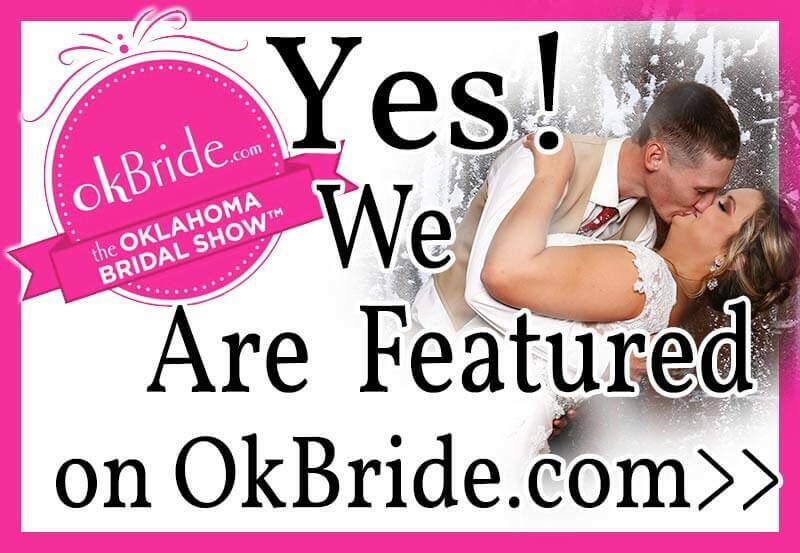 SMC Featured on OK BRIDE CHECK IT OUT! 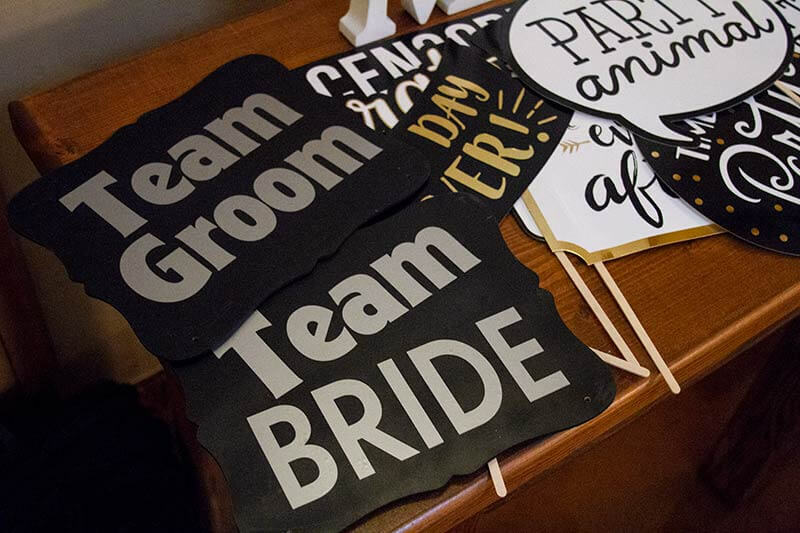 Top 5 Reasons You Need A Photo Booth for Your Wedding!